This is the second Swedish edition of The Dark Wind. 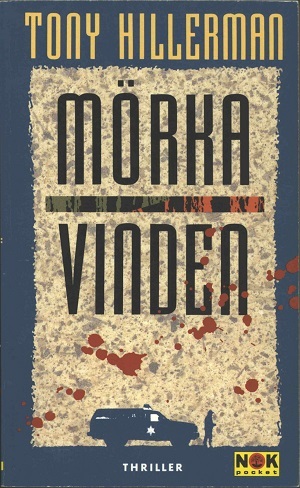 Like the 1991 Swedish edition, this version was published by Bokförlaget Legenda AB in Stockholm, Sweden. The translators were Karl G. and Lilian Fredriksson. Format: Paperback 17.8 x 11 cm. Binding: Paper covers with full-color graphics. The author, title, and publisher's logo are printed vertically on the spine in yellow.